Welcome to the Raider Band Family! We are changing the way we communicate! Please read and jump on board today. We are always trying to streamline our communications with students and parents. Finally, a app has come along that allows us to replace many of the other communication options we use. Please click on this link to learn more and sign up today. Even more good news about completing band forms!!! Great news! You no longer have to come to the band hall to sign those pesky travel forms. As of today, we have officially gone paperless. If you would like to be able to complete the forms on your phone, tablet, or computer, in the comfort of your own home or favorite coffee shop, send me an email with "I WANT TO GO DIGITAL" in the subject line and I'll send you the forms. Good News!!! Band paperwork just got a lot easier! After consulting with Risk Management today, we have been able to alleviate much of our band paperwork! This year, we will only require two forms for your student to travel with the band. Another change is that these forms are no longer required to be notarized. Simply sign them and return them. Lastly, if you plan to volunteer with the students or be around them at all, you will need to complete the School District's Volunteer application. It is free and required if you plan to chaperone or work directly with students in any way. Tomorrow's the first day of school and we are in full swing! Are we rehearsing on Monday? Yes, we will have normally scheduled rehearsals starting tomorrow. The bands' rehearsal schedule is Mondays, Tuesdays, and Thursdays from 3:45 p.m. - 6:30 p.m.
Do I have to attend all rehearsals and performances? Yes, all members are expected to be at all rehearsals and performances on time, for the whole time. These rehearsals and performances are considered quizzes and test for band classes. Please consult the band handbook and school handbook for the requirements of excused absences. What do I need to bring to class every day? Students should bring the following items to class every day. Are students allowed to leave to "run to the store" after school? Students do not leave campus after school unless the director cancels rehearsal. What will the students eat on game days? Look for more info on this in a later post. When are we going to sign the required paperwork? There will be notaries and paperwork on hand in the band hall on Monday, Tuesday, and Thursday of this week from 6:00 p.m. - 7:00 p.m.
What are the students wearing for their first performance? The band will wear our summer travel uniform for the first few performances. The travel uniform consists of the following. Where can a parent sign up to volunteer? Parents wanting to volunteer should use our volunteer calendar on our website. You can find it here. What is Charms and how do I use it? Please check out our Charms information page here. All of these information sources! There is Charms, the band calendar, Remind, the volunteer calendar, email, which is the best one to use??? I know it can be a bit overwhelming so let me try to give you insight on how I use each to get information to you. Charms - Charms is used to keep track of you and your students' contact information, contributions, and the volunteer calendar. It is also used to keep track of uniform, equipment, and music inventories. Lastly, we use it to send group emails. The Charms information page is here. If you cannot access your Charms account, please email me and I will help you. The "Official Band Calendar" - This is my google based, personal calendar. I keep all of our rehearsals, performances, and other important dates on this calendar. The calendar is shared publicly so that you can add it to your phone or smart device. I have tried to make the calendar your first resource for all things band. It is truly "one stop shopping" for event information. If you would like to add my calendar to your phone or smart device, please visit this page for more details. 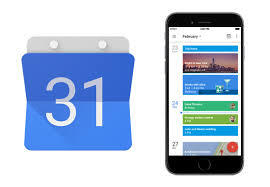 I also suggest that you download the new Google Calendar App available for Android and iOS. It offers a rich experience and keeps the original, organized formatting. Remind - We asked that all students and at least one parent enroll in our Remind group texting. Remind is used to put out general information, like when we update this site, as well as time-sensitive information, like when we students are released from games, etc. Parents should sign up for the @nhsband group because we try to use it sparingly. Students should sign up for the @raidrmarch group because we use it a lot during the day to relay info to students. The Volunteer Calendar - This calendar is used by parents and students to sign up for volunteer opportunities. Please make sure to visit it often. We need a ton of help during the fall for chaperones and concessions. You can find the volunteer calendar here. Email - We use email to send out general information that is either too long to post through one of the other sources, is private, or to make sure we reach parents who are not connected through other means. ​So, that is how I use the various information services. Honestly, I suggest everyone use all of them! If I had to choose only one, though, I would use the band calendar. It is the easiest to navigate, has the most information, and works natively on your phone. No websites, groups, etc. Please make sure you are in the Remind group as well. If you have any more questions, feel free to email them, and I'll answer them to the group! If you know of a local business or even a company that is out of town that would like to sponsor your student and the Navarre Raider Band, please feel free to pass along our sponsorship letter. How does sponsorship work? As you know, we feel very strongly that each member is responsible for his/her fair share of the cost of running the band. We do our very best to provide ample fundraising opportunities for our members in hopes that it is never a burden on them or their family. Members can earn their entire fair share with our fundraisers. We had many students make more than they needed by participating in our carwash alone! The $825 would go directly to your students' fair share account. The remainder can be donated to another student, or applied to the general fund. It may not be rolled over to next year, used for non-band fair share/trip cost, or refunded. Lastly, you may work out any private sponsorship you would like; however, the band only abides by the sponsorship levels detailed in our agreement. You may download our official sponsorship letter here. I am looking for a couple of volunteers to help with publicity. I am looking for a couple of volunteers to help me with keeping the local area informed about how awesome our kids are. Let's face, the regular citizen basically knows nothing about what we do. Heck, many of them think that we do nothing after football season! The help I need is in writing press releases, posting pictures on social media, etc. If you are comfortable with writing blurbs for public consumption, please contact me directly at deanbarrow@theraiderband.com. I would like to get started asap. Have you logged in to your Charms account lately? If the answer is no, then now is a great time to do it! Please log in and to update student and adult details, interest areas, and check on how your doing on your donation goals! Click here to be taken to the CHARMS info page. If you have a problem, email me directly. Things to remember going into the first week of school. Well, school is about to start, and we are wrapping up one of our best band camps with our biggest band ever! The group only practiced 14 days this summer, and we are further along than usual. I believe it is going to be a great year! I wanted to take a moment to remind everyone of a few things before this last week gets away from us. First, please check to make sure you have everything you need from the Member Necessities page. Things like gloves, lyres, khaki shorts, and band shoes take a while to arrive. You will need all of them the first week of school. Students should have their green books, dot books and black three-ring binders completed when they arrive on the first day of school. Everyone should make sure that they are familiar with our rehearsal and performance schedule for the fall. There are very few acceptable excuses for missing any event. Things like appointments, travel, student work, clubs, shopping trips, and vacations are not excused. The band uses the same attendance requirements as the school. Please make sure you are present and on time, for the whole time, every time the group meets. Make sure you are familiar with our fundraising goals and timeline. The band relies on us working as a team to fund this activity. There are plenty of opportunities for students to fundraise their contributions without parents ever having to pay anything personally. That is our goal. Please make sure you are actively participating in all fundraisers. Speaking of fundraisers. Our second fundraiser will kick off the Monday when we return to school. We will have a fall BBQ plate sale. Our BBQ sales are always very successful for our students with many making several hundred dollars. This year, we are asking every student to sell at least 7 tickets. More information will be available next week. That is all for now, keep up the great work! Thanks for a great summer. Did you know that having the band calendar synced to your phone is the best way to stay informed? Did you know that the very best way to have all of the up to date info for the band is to subscribe to our official band calendar? That's right, you can all of the info you need about the band synced directly to your phone or other smart devices. That means no more relying on websites, emails, or even FaceBook! Of course, we make sure to keep those other resources up to date as well, but we've found it to be easier to have all of the information in your calendar. We also suggest that you download the FREE Google Calendar app. It's not the one that comes native on Android phones. It is a new standalone app that allows for more information to be packed into each calendar event. If you would like to add our band calendar, please visit our page here, to get full details and instructions. Band Picture Proofs and Picture Make-ups. Band picture proof viewing and band picture make-ups will be on August 20th., and 21st., from 4:00-8:00 p.m. If you are a band member, donate here. Sign-Up for Remind group messaging here!